Allied Steel of NYC, Welcome! 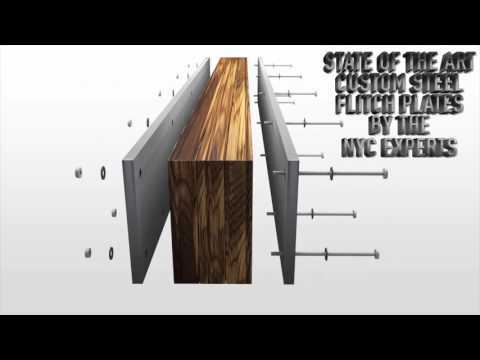 We see you are visiting from , We supply custom fabricated steel and metal for all of New York City including Manhattan, Brooklyn, Bronx, Queens, Staten Island and Long Island City. 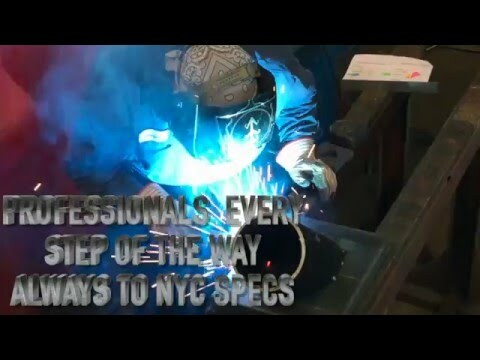 ALLIED STEEL OF NEW YORK CITY (NYC) WE UNDERSTAND YOUR NEEDS, WE RESPOND, WE GET THE JOB DONE! The costs of steel and steel fabrication services and job completion deadlines in both commercial construction and Residential home construction industries have become more important than ever before. This makes it more difficult than ever for steel contractors and residential homeowners to control their construction costs. That is why working with a reliable steel company that provides quality fabrication services and consistently delivers on time is the answer for NYC contractors and residential homeowners. We completely understand that working with a rapid steel supplier and custom steel fabricator is likely a crucial factor to the success of your project as well as your business. Many businesses face the potential loss a considerable amount of time dealing with steel fabricators that may be unreliable, metal suppliers who fail to act on their commitments. To really maximize your success, you need a reliable Steel and Metal Supply company that has distinguished itself above the rest. We are proven professional specialty metal fabricators that deliver quality and service time and time again. You need a company that is renowned for unparalleled customer service and treats every customer with utmost care; you will always find that in Allied Steel NY. Allied Steel NYC is like no other steel company, serving commercial construction and residential construction projects; we truly outperform the rest of the industry with a consistent proven track record. 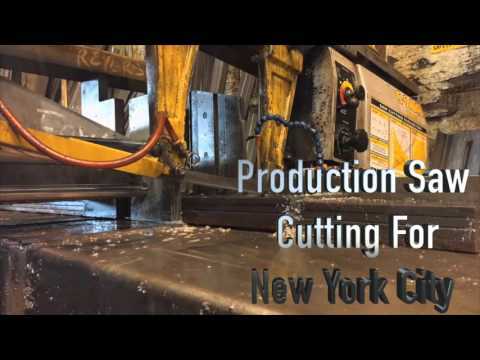 Allied Steel New York, one of top steel fabricators and metal suppliers of New York City is ready to serve any of your custom steel/metal fabrication needs. Allied has the ability to work with a long list of metals including Aluminum, Stainless and Carbon Steel. 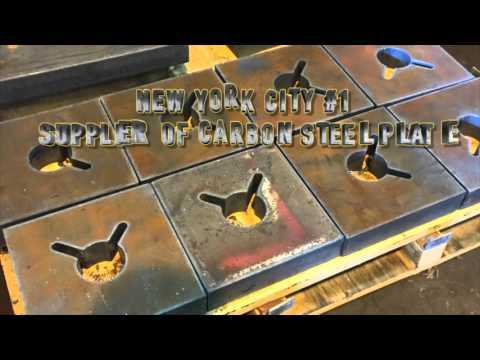 New York City contactors, businesses or homeowners needing quality metal products, Allied Steel NYC is always ready to assist you. With operations spread throughout New York City as well as the five adjoining boroughs (including Long Island City), Allied Steel NY is a top NY reliable metal supply company who always maintains excellent relations with its customers. 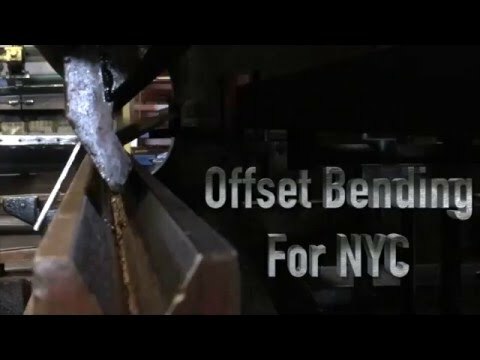 Our experience as custom metal fabricators and specialty fabrication experts, while constantly working with flat plate, flat sheet, sheet metal, diamond plate, structural I-beams and all structural shapes, requires consistent communication between our customers and our staff of steel professionals and that is exactly what we do. 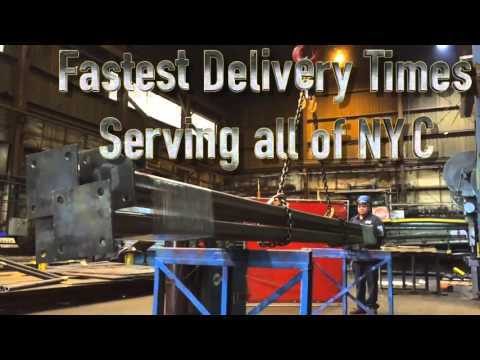 With decades of expertise and experience behind us, Allied Steel of NY not only has the manpower and capability to handle potentially any steel and metal fabrication job or stock order, but we also make sure that all the fabrication work is accurately scheduled to ensure its completed on time. Each job is assured to maintain the quality steel standards that Allied NYC is know for. Our quality steel and metal products including Aluminum, Stainless Steel and Carbon Steel are distinguished from others due to our inside storage of material in our steel warehouse and quality driven inventory management system. 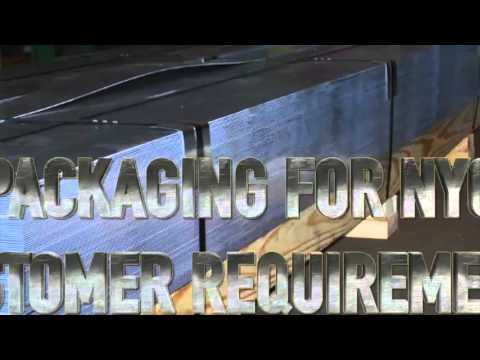 Allied Steel NY fabrication methods and the care that we take in handling the material shows on the delivery of each and every order. 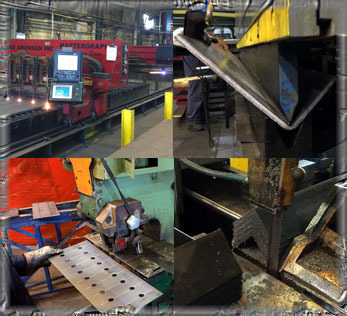 Allied Steel offers its metal/steel fabrication services on multiple Steel, Aluminum and Stainless Steel grades including A36, AR400, A500, A513, A572, A588, A709, A786, A992, 3003, 5052, 6061, 6063, T304 and T316 throughout New York City and its boroughs including, Manhattan, Bronx, Queens, Staten Island, Brooklyn and even Long Island City. Whether you’re an NYC Contractor or residential contractor working with different metals, it's important to know the many industry terms in regards to various types of metal and fabrication. 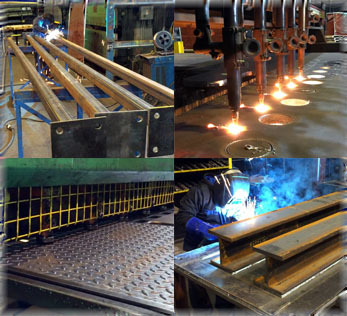 As a custom Steel fabricator, we work with carbon steel products like steel I-beams, steel pipe columns, various structural steel shapes like angle iron, channels, pipes and tubing or steel sheet metal, flat plate, galvanized sheet metal or diamond plate and cut, bend, punch, drill and weld these items for all types of use in construction and manufacturing. 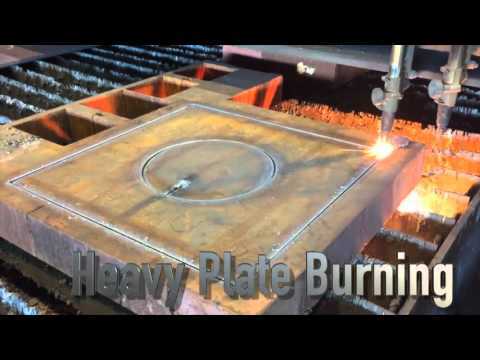 Allied Metal fabricators work with non-ferrous metals such as Aluminum and Stainless Steel. This group of metals are made up of different elements that only have minimal amounts of iron but have many additional alloys that make the metal more corrosion resistant as well as a finish that is more architecturally pleasing. Custom metal fabricators working with Aluminum and Stainless Steel perform similar types of fabrication methods as steel fabricators such as bending, cutting, drilling, rolling and welding. 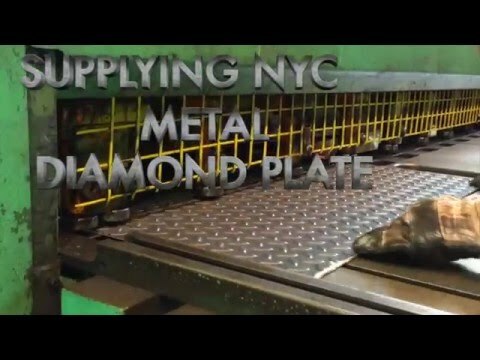 Finding a reliable metal supply company with custom fabrication capabilities that is eager to serve you and respond to all of your metal and steel needs may be challenging for many NYC commercial and residential contractors, but this is no longer the case, you have found Allied Steel of New York! 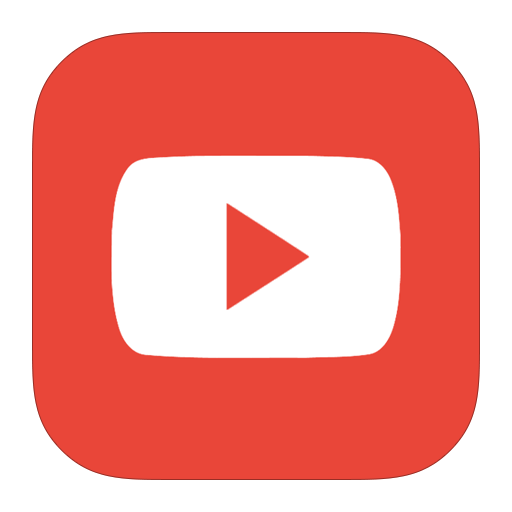 If you have been looking for a quality custom steel fabricator, expert metal fabricator, a reliable metal distributor, you can put your search to rest. Allied Steel NYC is renowned throughout New York for our quality steel, metal products and reliable steel & metal fabrication services. 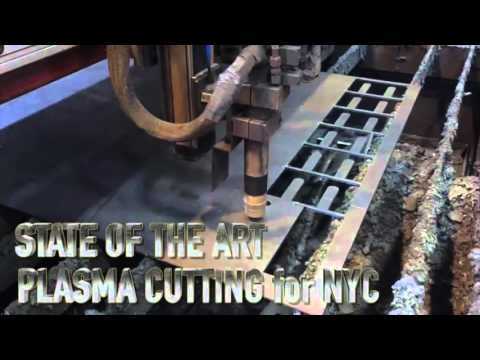 We are Expert custom Metal fabricators that understand the needs of New York City and deliver each and every time. Our superior value added services put us in an entirely different league then all of the suppliers and fabricators serving NYC and all 5 boroughs. 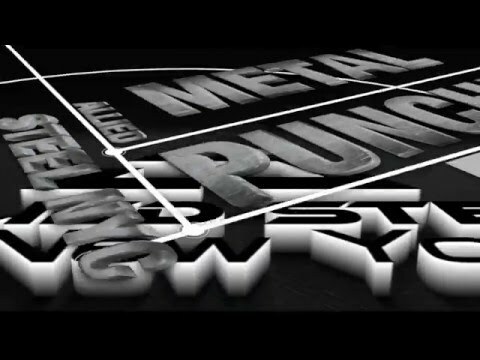 All steel and metal products are distributed from our local New York steel warehouse. Our professional fabrication services and quality steel and metal products, we help businesses reduce inefficiencies and increase reliability amongst customers. 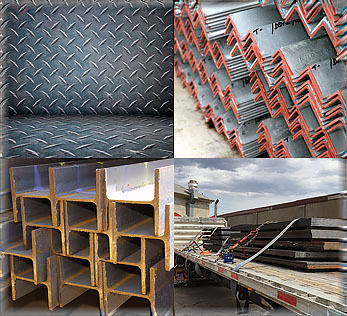 Allied NY keeps a stock of a wide range of different metal products ready to do your custom metal and steel jobs including Carbon Steel, Galvanized Steel, Stainless Steel and Aluminum. Carbon Steel products come in many grades and the most common grades used today are A36, A500, A572 and A992. Aluminum metal products come in different grades including 3003, 5052, 6061 and 6063 and with different finishes of dull mill finish or bright polished finish. Stainless Steel metal products most common grades are T304 and T316 and also have a dull mill finish or bright polished finish option. All of Allied Steel NYC steel and metal products come in various shapes and sizes including thinner sheet metal, flat steel sheets, thicker flat plates, diamond plates, structural steel shapes like angle iron, channels, flats, I-beams, pipes, tubing, grating and expanded metal, making it easy for business owners to take their pick from our vast selection. We pride ourselves in responding quicker than our competitors, providing dedicated customer focused sales team that will get you answers and expertly service any of your metal needs. Allied Steel NYC has learned through many decades of experience that great customer relationships are built by working closely with our customers, serving all of their needs and keeping them well informed of the status of orders. Each of our employees in each department assures expertise in responding, communicating and working with you, the client to assure fabrication projects are on schedule, avoiding wasted time or any delays. 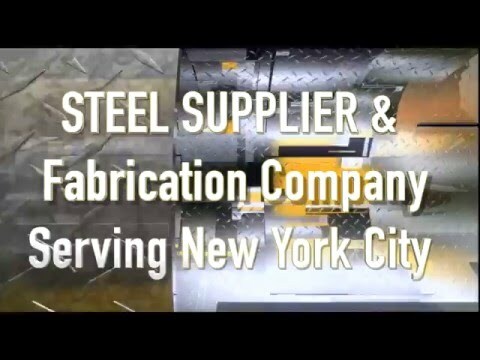 You can feel confident that Allied Steel of New York is focused on two important things, you our client/customer and being the most reliable custom steel fabricator as a one stop shop for steel and metal products for all of New York City and its boroughs.